Bombarded by confusing and conflicting advice about what is good and bad for us, more and more people are turning back to nature. Surrounded by shrubs and plants, many we refer to as weeds, these are the basis of modern-day medicine. Natural remedies / herbalism / home remedies / folk medecine / traditional medicine / alternative therapies / complementary medicine / ethnomedicine / ethnopharmacology / phytopharmacology or medicine … call it what you will, it is becoming increasingly popular for a variety of reasons and more individuals are nowadays preferring to take personal control over their health, not only in the prevention of diseases but also to treat them. This is particularly true for a wide variety of chronic or incurable diseases – cancer, arthritis, diabetes – or acute illnesses which are readily treated at home such as the common cold etc. At the turn of the last century, folk medicine was viewed as a practice used by poverty-stricken communities and ‘quacks’. However, our rejection of synthetic or biomedical products has become a growing trend and during the latter part of the 20th century herbalism has become ‘main stream’ throughout the world. This is due in part to the recognition of the value of traditional and indigenous pharmacopeias and us better understanding how many are incorporated into modern pharmaceuticals. In the last decade there has been an explosion in the consumption of herbal remedies in the West. Today, Germany and France, followed by the UK, lead the world in sales of such remedies. Surveys from 2010 indicate that two-thirds of women use herbs for premenopausal symptoms, 45% of pregnant women try herbal remedies and 45% of parents prefer to give their children herbal treatments. The World Health Organisation (WHO) and the EU have issued guidelines and Acts concerning the safe and appropriate use of herbal medicines. The safety issues related to phytomedicines are complex and include the possible toxicity of plants, the presence of contaminants such as pesticides, as well as potential interactions between these herbal medicines and prescription drugs. Research is costly and modern drugs are expensive, which is why people in developing countries have continued to use medicinal plants because they are widely available and easy to access. It is estimated that over 50% of the world’s population relies on folk medicine practices. Now, everyone is getting onto the ‘natural’ bandwagon with articles talking about the latest ‘super foods’ and advertisements jostling to sell you supplements, juices, elixirs, balms, lotions and potions professing all sorts of health benefits. The leaves are rich in tannins and 37 constituents in the essential oil distilled from the leaves. The fruits contain sugar, pectin, some iron and carotene amongst others. Virgil writes about the arbousier in the Aeneid (Book XI, 63-65) where he describes branches of Arbutus and Oak being place on Pallas’ funeral bed. In ancient times it was linked with death and immortality. In phytotherapy, mixed with other plants, the leaves are successfully used for urinary tract infections. In Corsica the fruits are used for digestive problems, flatulence and as a depurative, infusing green fruits in boiling water and served with sugar. In Tunisia the roots are used for their hypotensive properties and the seeds as an anti-diarrhetic. The fruits are also used for drinks, jams and marmalades. Named after the Greek goddess Artemis (Roman equivalent – Diana), goddess of hunting but also childbirth, the Greeks and Romans considered artemisia as a gynecological remedy and to regularise menstrual cycles. Today it is still used to help with menopausal symptoms such as bloatedness and hot flushes. It is a repellant, has antibacterial and antifungicidal properties. In France it is used for menstrual period pains and to stimulate the appetite. In Tunisia A campestris is reputed as an anti-venom either using dried leaves and flowers externally or drinking a tea, for treating scorpion stings and snake bites, eczema and burns. In Spain, A barrelieri (endemic to the southern Iberian peninsula) is used for gastric troubles, indigestion, blood disorders and diabetes. 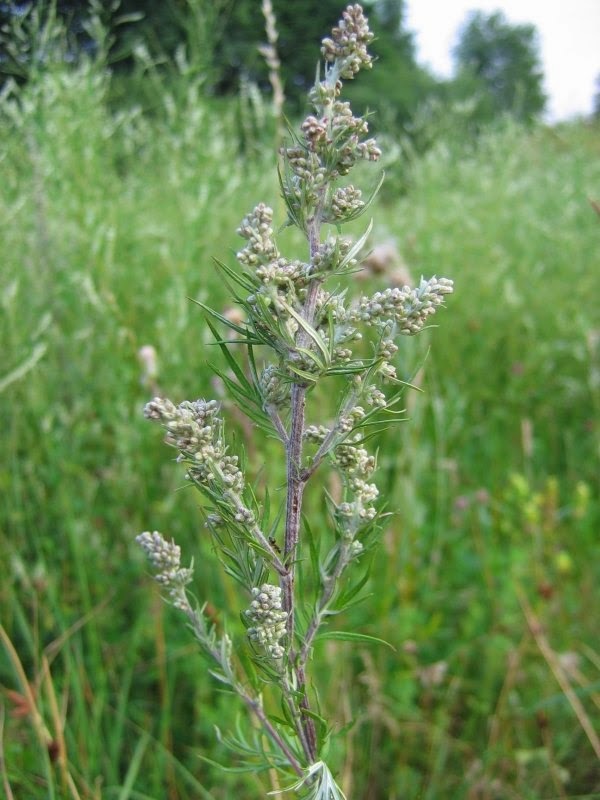 Artemeisia annua – sweet wormwood, sweet annie … annual wormwood, which has a camphor-like scent and is used traditionally as a fever treatment, has an active ingredient – artemisinin – which is anti-microbial and is used in the treatment of malaria. A study by University of Washington, Seattle claims success using it combined with iron to attack cancer cells. 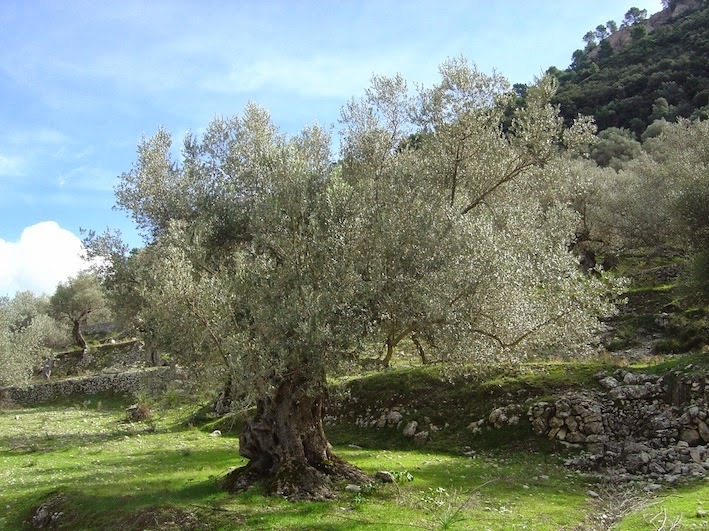 The olive tree is rich in symbolism : peace, fertility, purification, strength, victory and reward – it would seem to be amongst the first trees cultivated by man. Venerated by ancient civilisations and written about by Homer in his poems. During the Olympic games in Greece, winners received crowns of olive leaves. The medicinal uses of olives go back to ancient times using the fruit, olive oil and leaves. The oil was used in traditional medicine that has long since been forgotten : against viper and other snake bites, as a rub, an unction for scabies (la gale) and used in many unguents and plasters. Taken orally as a laxative and to treat intestinal worms. Until some time ago, the Provençaux used an emulsion of oil mixed in cold water to treat children’s bumps and scrapes, or as a soothing and moisturising after-sun lotion – coup de soleil. Nowadays we still use a drop or two of warmed oil in the ear to soothe an earache. It has also been known to be used in the treatment of Candida albicans (thrush). 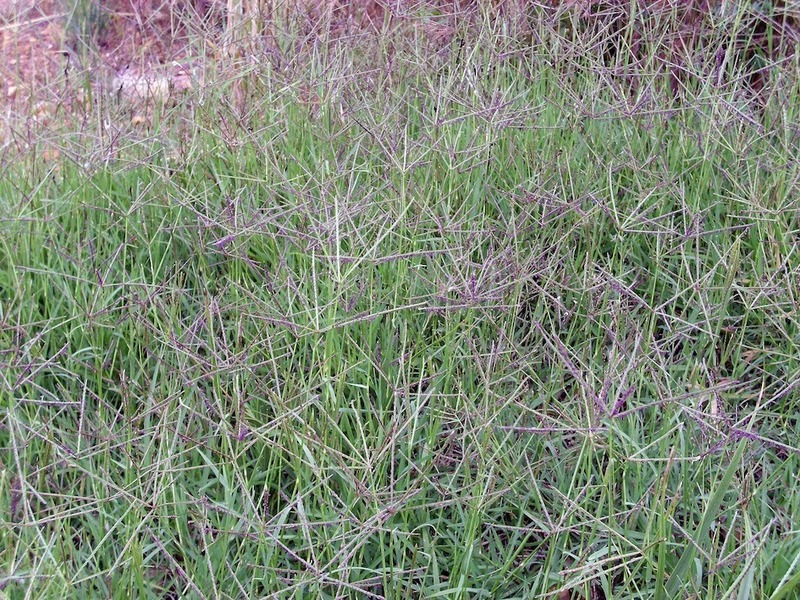 Widely used as a mixed seed for sowing rustic, grassy areas, the hybrid variety ‘Titon 85’ is considered as potentially toxic to mammals but nevertheless the wild variety is used in traditional medicines. The French name of chiendent is a direct translation of the Greek, as the new shoots of rhizomes resemble the canine teeth of a dog. The rhizome is used in tisanes for its emollient, refreshing and diuretic properties. It was used in association with other diuretics to treat oedema or hydropsy. In the Midi and Corsica it is often cited for problems with urinating and to treat hypertension. In North Africa it is also used for kidney stones. 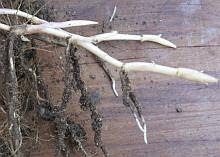 Boil the rhizome once for about a minute, discard the water and bash it to remove the tough bark. Drink with honey or lemon. Around us, this vicious weed can grow around 2m or more, but its cousins in Guatemala can grow to 15m long in dense forest ! 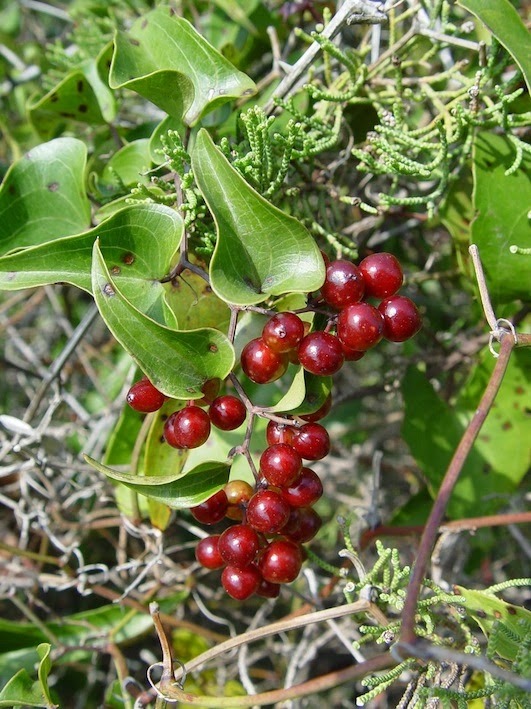 However, it is a typical example of a medicinal plant that has been forgotten. The root was introduced into the medical world towards the middle of the 16th century. 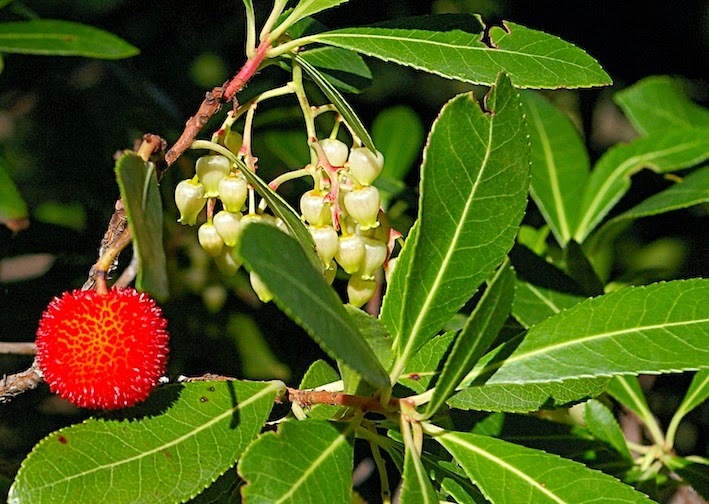 It was used notably for rheumatism and arthritis as well as skin problems such as eczema, psoriasis herpes and leprosy, but also for the flu, anorexia and gout. It was also used as a diuretic and perspiration control as it stimulates the circulatory system, as well as a treatment for respiratory problems and the effects of syphilis. It is still used in traditional medicine in Spain and around the mediterranean basin. Its more exotic cousins were used for tonics and aphrodisiacs in Mexico, in the Amazon to increase virility and treat menopausal troubles. 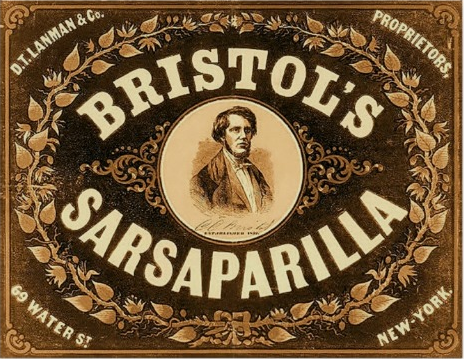 In America, at the turn of the 20th century, an infusion of Smilax regelii root was slightly alcoholised and carbonised and sold as Bristol’s Sarsaparilla soft drink. It is also the primary ingredient of old fashioned root beer. On our last garden group meeting we mentioned that we found a grower who was selling bare rooted lavender plants at a very reasonable price, 0.28 centimes per plant. If anyone was interested to put in an order. In the end we had an order for 200 plants. "How we tracked down our lavender plants. frenchgardening.com. L'Atelier Vert Everything French Gardening. This is a site run by an American woman who lives in Paris and south of Sisteron Provence and she sources French decorative gardening and kitchen things to market in America. On the site she writes interesting articles about gardens she has visited plus stories about herself and interesting people she has met. One of her sets of articles is called French Postcards and one of her stories is titled 'The Joyous Lavender Farmer'. I mentioned this to Saskia who is very interested in Lavender and thought she knew where this man was. However it turned out that he actually bought in his plants so the story was a bit awry. Saskia then did some detective work and eventually came up with the telephone number of the Bouscarles in Castellet who are wholesale but were happy to let us have a few plants. From there it escalated to 200 plants and a prepaid order was made. We were told we would be rung quite soon when they would be starting to dig up the type of lavender we wanted (Lavendula angustifolia 'Maillette'). There was much delay due to the rain and the soil being too heavy to harvest. Before our type of lavender could be dug up they had to complete a Spanish order for 20,000 of Lavandin!! On Wednesday morning we set of bright and early for Castellet in the Luberon, to the east of Bonnieux and quite close to Cereste which is where we had our lunch on our club visit to Valsainte. Madame Bouscarle was busy supervising over a dozen workers in a huge field near to the main road. She was very charming and happy to break off and explain their operation. One large section of the field had the new plants we had come for and here was a group of people working on a trailer base sorting out into bundles of 100 the little plants which had been lifted by machinery. On this farm they grow four different types of lavender,ours,lavendula angustifolia being the true lavender and three types of Lavandin which are used commercially for oil and are not as decorative as Angustifolia. The wife of the owner explained that the lavenders are grown from heel cuttings done at this time of the year and grown for one year. We watched a group of men squatting on the ground alongside long lines of plastic sheeting, slightly mounded. The plastic has two small slits side by side down the whole length of the line into which the little cuttings were being poked. Under the plastic is an arrossage pipe which feeds the plants morning and evening, gout a gout, with a liquid fertilizer. When the weather is very hot the plants are fine sprayed morning and evening with water. The cuttings take one year to grow and are then dug up ready to complete orders. We assumed that unsold plants are kept to use their flowers to distill for lavender oil. Lavender is grown on a four year rotation which means they must have several several fields for production. As we travelled through the village we saw several very simple and ancient distilleries. Madam told us that the lavender is fully matured at 10 years. Take hold of the branches of the plant holding all the branches together and cut off one third of the roots and half of the top. Plant in garden soil making sure that the plant is deep enough for the soil to come 2.5cm above the branching of the plant. Do not put fertilizer in the planting hole but the owner recommended sprinkling the soil around the plant with fumier de mouton or cheval. Water in well and water thereafter once a week for the first year. She recommended planting 40cm apart. Prune after flowering by holding all the branches together and cutting straight across the top as this will keep the plants boule shaped." Mars fait partie des mois capitaux pour le jardin. Nombreuses sont les tâches à effectuer mais évitez de trop vous empresser sur les tailles et les semis sensibles aux gelées printanières. Je vous encourage à planter les arbustes, vivaces, conifères cultivés en conteneurs sans en attendre la floraison. Des travaux de taille : les rosiers remontants sont taillés idéalement après le 8 mars pour profiter de la phase lunaire « descendante » et ce jusqu’au 22 mars. Cette période favorable est aussi mise à profit pour la taille des arbustes à floraison d’été tels le Buddléia ou le Lilas des Indes. Ils portent leurs fleurs sur les pousses de l’année. A l’inverse, les arbustes à floraison de printemps (Forsythia, Lilas…) fleurissent sur le bois de l’année précédente et sont taillés après leur épanouissement. Mais dans tous les cas, privilégiez des tailles douces ayant pour but d’éclaircir les végétaux tout en conservant leur forme spontanée. Sur les fruitiers, taillez peu et contentez-vous d’éclaircir si vous estimez qu’il y a trop de jeunes rameaux. Reportez certaines coupes pour l’été sur une « taille en vert ». On peut arquer certains rameaux ne portant que des «yeux à bois» (œil qui produit une pousse et non une fleur). Pliez-les vers le bas et attachez-les sur une branche à l’aide de raphia. Cette opération favorise une meilleure fructification. Les graminées du jardin sont à rabattre à cette période de l’année pour leur permettre de reformer un nouveau feuillage. Le broyage des branches taillées est une bonne solution pour amender par simple épandage au sol sans compostage préalable. Et si vous n’avez pas de broyeur mécanique, vous pouvez couper les végétaux au sécateur en portions de 10 cm. La décomposition se produit quelle que soit la méthode employée. Le compost est à épandre au pied des plantes que ce soit au jardin d’ornement ou au potager. Et je vous rappelle que le compost est un fertilisant très bénéfique pour les sols et dont l'apport suffit largement à nourrir la terre. Il est donc à privilégier aux engrais, y compris ceux dits « organiques » qui ne donneront jamais la même valeur d’humus qu’un bon compost. Au Potager, les premiers semis en place ont lieu dans un sol bien réchauffé : carotte, petit pois, salade, navet, radis. Un voile d’hivernage peut être utile pour hâter et protéger la pousse. Un film plastique placé sur le sol 8 jours avant les semis permet de réchauffer le sol pour une germination plus rapide. Lune descendante : du 9 au 22 mars. Favorable aux opérations de taille, plantations et transplantations, au travail du sol. Lune montante : du 1 au 8 mars et du 23 au 31 mars. Favorable aux semis, boutures et greffage.